A perfectly balanced clash in a perfectly balanced group. 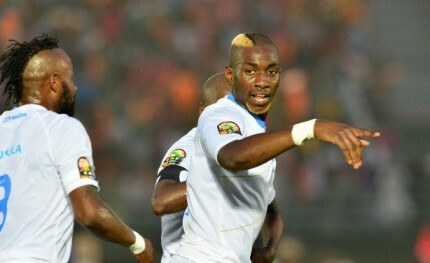 DR Congo will have emerged from the first round of matches with the feeling of an opportunity missed. Despite creating the better chances and enjoying far superior possession, they were unable to find a winner against Zambia after bringing the scores level at 1-1. Prior to the the tournament much was made of DR Congo’s inconsistent forward line, which despite containing prolific individuals at domestic level, seemingly malfunctions when pulled together in national team colours. Cape Verde may well feel that it was mission accomplished against Tunisia. Question marks do remain about their attacking threat, and in truth, Heldon’s 77th minute equaliser spared them the consequence of going into this match teetering on the verge of elimination. Any idea of DR Congo simply overwhelming Cape Verde has truly dissipated after the performance against Zambia. Coach Florent Ibenge’s willingness to alter the game in the face of Zambia resistance will provide some measure of assurance to Congolese fans. However, the question remains, did Zambia expose DRC’s Achilles heel? Zambian fans were vocal in their disdain for the lack of adventure from their side, yet they still managed to contain the Congolese attack for a large parts of the game. Florent Ibenge will be eager to avoid a repeat against Cape Verde. Can DRC look beyond their reliance on Yannick Bolasie, Cedrick Mabwati and Dieumerci Mbokani for attacking thrust? Rui Aguas will have studied DR Congo and you’d bet he’ll have his side drilled and organised. Despite the abundance of attacking talent, against Tunisia Cape Verde struggled to create meaningful openings and faded badly towards the end of the second half. Much has been made of Agua’s tactical acumen, and I get the feeling that he’ll seek to encourage DRC to come forward and exploit their creaking defence on the counter. Even so, there’s not much evidence to suggest that Cape Verde will take the chances that do fall their way. Against Tunisia their attacked looked anaemic, with Djaniny looking especially isolated as lone striker. AFCON 2013 provides Cape Verde with a template to follow when navigating the group stage. In that edition they drew the first game 0-0, the second 1-1 and then snuck into the quarter finals with a closely fought victory over Angola. More of the same? Aguas may be looking at this match as an opportunity to set up a final showdown with Zambia, a team they defeated during the qualifiers for AFCON 2015. Both teams have glaring issues which if unresolved will mark an early end to their tournament. If DR Congo can take control early I don’t see a way in for Cape Verde, who, from past experience, will be prepared to soak up the pressure and then pick off the Leopards at opportune moments. Yet I question whether Cape Verde have enough in them. They’re don’t have a track record of imposing themselves on their opponents – let alone opponents as accomplished or as formidable, albeit on paper, as DRC. It should be a fascinating encounter, one which would leave the winner in pole position to qualify for the next stage.